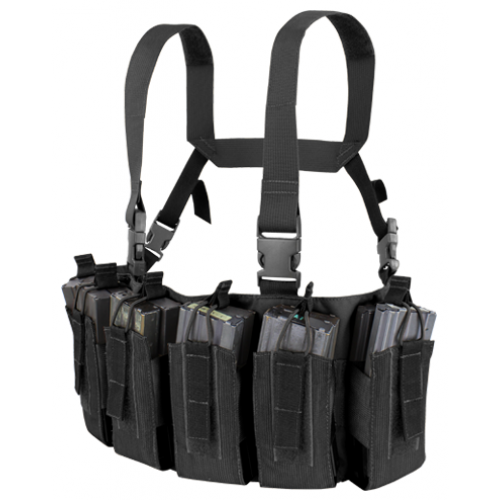 The Condor Barrage was designed as an alternative to the MCR6 Rapid Assault Chest Rig. Lighter weight without the extra webbing, H-Harness for better support, and two new colors: Brown and Ranger Green. This chest rig is great for the hunting enthusiast, or for a grab and go kit on training day. Made in the U.S.A.